Architecting in the context of variability has become a real need in todays software development. Modern software systems and their architecture must adapt dynamically to events coming from the environment (e.g., workload requested by users, changes in functionality) and the execution platform (e.g., resource availability). Component-based architectures have shown to be very suited for self-adaptation especially with their dynamical reconfiguration capabilities. However, existing solutions for reconfiguration often rely on low level, imperative, and non formal languages. 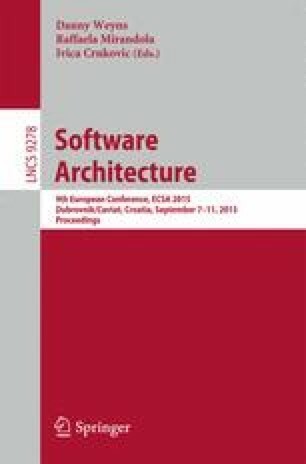 This paper presents Ctrl-F, a domain-specific language whose objective is to provide high-level support for describing adaptation behaviours and policies in component-based architectures. It relies on reactive programming for formal verification and control of reconfigurations. We integrate Ctrl-F with the FraSCAti Service Component Architecture middleware platform, and apply it to the Znn.com self-adaptive case study.